If you want to look and feel your best this year… then pay close attention. Because right now… I’m going to reveal 5 “Super Foods” you can use to “shrink down” into your dream body. When you make these foods a regular part of your eating plan, it becomes so much easier to melt your unwanted pounds and inches. I don’t want to waste even a second of your time… so let’s get into it. I figured it would make the most sense to start with a breakfast food. As you may know, breakfast is the most important meal of the day. It kick starts your metabolism and keeps it running at full speed throughout the day. And you can never go wrong by eating oatmeal. Oatmeal is the breakfast of choice for many fitness enthusiasts. It combines protein with complex carbohydrates to kick-start your day with a boost of long-lasting energy. Oatmeal is also rich in fiber, which is great for digestion, and naturally helps to control your appetite… so you’re less likely to overeat. Another delicious breakfast choice, eggs are also a great way to start off the day. They’re packed with complete protein, vitamins and minerals. One of the amino acids found in eggs (leucine) has been shown to support weight loss. It helps maintain lean muscle, while allowing fat to be burned. And remember, that fiber helps to naturally control your appetite. This refreshing citrus fruit is big in taste, but incredibly low in calories, making it an ideal snack for anyone trying to lose weight. It’s packed with cancer-fighting antioxidants like lycopene. It also works wonder in improving your body’s response to insulin, which is a hormone that can cause your body to store fat. 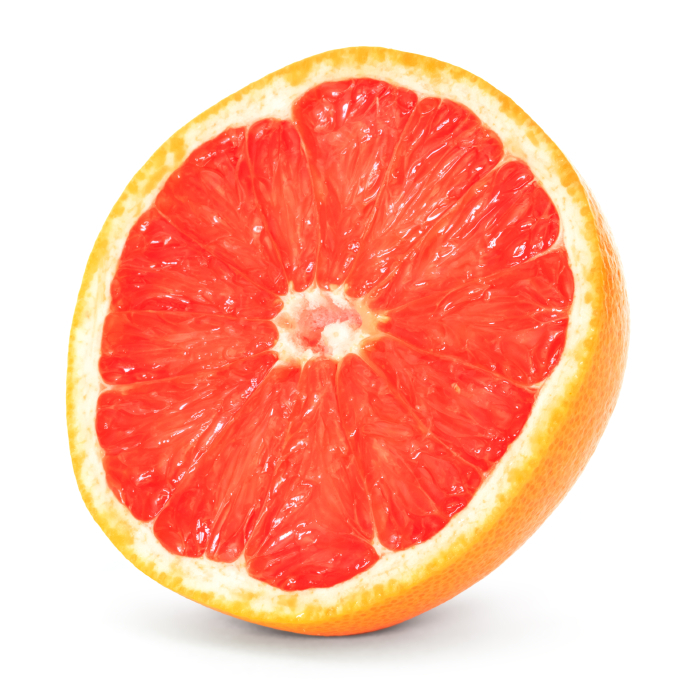 Studies have shown that eating half a grapefruit before your meals is associated with significant weight loss! These super-fruits are an ideal addition to any fat loss plan. They’re absolutely packed with fat-fighting antioxidants, which keep your immune system healthy… and keep your body and metabolism running along at full speed. This tasty treat is also versatile. You can enjoy them on their own, add them to a fruit salad, or throw some berries into a blender (with a scoop of protein powder) to make a delicious breakfast smoothie when you’re pressed for time. This distinct fruit (yes, it’s actually a fruit!) is a great addition to any fat loss plan. Avocados are delicious and also nutritious. It contains an amino acid called L-carnitine which which boosts your metabolism and speeds up fat loss. Avocados also have lots of magnesium and potassium, which help relax you… reduce belly fat and prevent bloating. Because of these incredible benefits, avocados should be in the daily diet of anyone trying to lose weight. There are other fat loss secrets you need to know. First… you need to know the right type of Fat Blasting exercise. You just need to know which movements give you the most bang for your buck. You need to know how to force your mind… to command your body to get slim. And once you learn to take advantage of that, you can make your fat loss journey almost effortless. Without ever feeling deprived… or ever suffering through those horrible cravings. To double the amount of fat you lose… without making any changes to your diet or exercise program. You get twice the results… from the same amount of effort. The fat comes off twice as fast. The only problem is… until now, it was almost impossible to find out how this secret worked. Nobody is teaching this stuff. So I put together a free video presentation showing you exactly how you can use “Mind-Body Merging” to get the body of your dreams. And in that video, you’ll see my personal transformation… as the transformation my clients have gotten by following my advice. I reveal the 3 biggest secrets you can use to start melting your unwanted pounds and inches… TODAY. So this time next week… you’re already well on your way to looking great. So make sure you watch it now while you still have the chance. Then tell your friends before it gets taken down!